Skin-friendly performance guards your skin, while trimming as close as 0.5mm. Trim hair in any direction with the 3mm comb. Easy to clean and use in or out of the shower with ergonomic grip for maximum control. Includes one AA battery, for up to 2 months use. 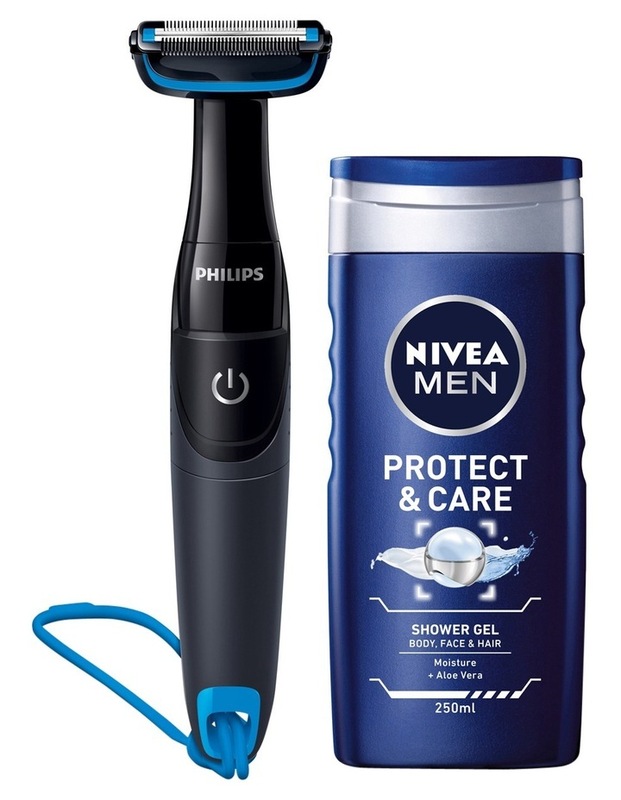 Includes NIVEA MEN Protect & Care Shower Gel for a moisturized skin. Built to last with a 2 year warranty.